When Metallica released the Black Album back in 1991 they were already considered by some (many?) to be well past their prime. Then came Load. And Reload. St. Anger. Death Magnetic. By many accounts Metallica has been living on borrowed time for the past 25 years. Now we have another ’tallica record to get lathered up over. 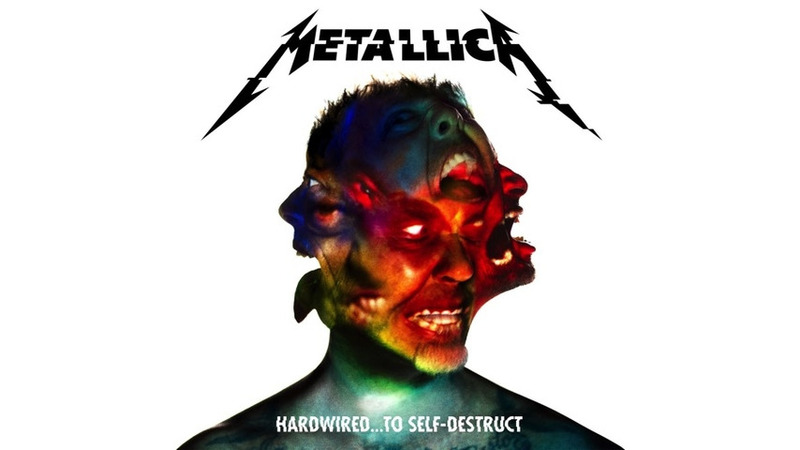 Their 10th studio album Hardwired… To Self-Destruct comes eight years and a Lulu after their last studio album—for some interesting context, that’s the same amount of time that passed between Kill ’Em All and the Black Album. And over the course of those eight years, the genre Metallica was integral in defining has grown and shape-shifted as younger, hungrier bands have continued to pay homage and, in some cases, lap them. Hell, even Big Four brethren Anthrax have released a couple of ripping heavy metal records in that time that burn with youthful fire. So where does the band fit in now? Well there’s metal, and there’s Metallica. The band isn’t searching for adventure on Hardwired. And they aren’t necessarily trying to relive the glories of 1986. Instead this 77-minute, double-LP touches on Metallica’s entire recorded output—for better or for worse. For those, like myself, unfairly hoping the band will release a full-on thrash monster, it ain’t happening. Although when Metallica strikes with missile precision and power on songs like “Atlas, Rise!” and “Moth Into Flame” I do feel that same old rush—albeit momentarily—I did when I heard “Blackened” in 1988. But those moments bump into modern metal tripe like “Dream No More” and “Now That We’re Dead” (although the latter has an earworm chorus that I can’t seem to escape) and I cringe. Hardwired avoids the all-out bloat of Death Magnetic, but there are songs that should have either been trimmed or left on the cutting room floor altogether. That unevenness is often within a single song. “Man UNkind” as whole is a very average metal song, but then Kirk Hammett’s solo and the accompanying heavy-chugging rhythm that comes out of nowhere gives you 15 seconds of delicious head-banging. That may be the most maddening takeaway—the record would’ve greatly benefitted from a little editing (where’s Torben Ulrich when you need him?). James Hetfield is the star of the record, vocally and musically. His mighty riffs can still stop you dead in your tracks, and he’s laid off some of his more notorious and annoying vocal aesthetics. Here he plays it straighter and gristled, while using some of the advanced vocal range he’s picked up over the years. Hammett’s solos are full of fire, especially the outro solo on the raging closer “Spit Out the Bone,” and it’s great to hear Metallica’s axe tandem recall their NWOBHM roots with dual leads on “Halo On Fire” and “Moth Into Flame.” Lars Ulrich—the band’s oft-picked-on loudmouth—thrashes the drums as he always has, loose and to the point (no complaints, since he’s always been essentially the same drummer). The main problem here is the drum sound, which recalls the pillowy, up-front production that plagued the Bob Rock years. As a whole the record could’ve used a little more grime to darken things up. The main question I kept asking myself while listening to Hardwired: How would these songs come across if it weren’t Metallica? Far less scrutinized, for sure. But that’s the price of being a billion-dollar heavy metal band with a lot of baggage and four untouchable masterpieces under its belt. Hardwired… To Self-Destruct is the best Metallica record in 25 years, but it’s not going to blow minds. Is that an unrealistic expectation? Of course it is, but we always hold out hope. There’s metal, and then there’s Metallica. For more from Metallica, check out this performance from Woodstock 99 in the player below.